Want more work as a Spanish-to-English translator, or to pass the DipTrans exam? With personal feedback and detailed content, this advanced Spanish-to-English translation course will help you be a successful translator. You know you have the language skills needed to be a professional Spanish-to-English translator. Perhaps you dream of working from home as a freelance translator. Or are you looking for a course to help you pass the Diploma in Translation exam? On this Spanish-to-English translation course, your confidence will soar as you really get to know your inner translator. You will become a better translator, editor and proofreader. And by improving your skills, you’ll be able to pass the DipTrans and get more translation work. With me at your side, 14 comprehensive modules and a secret Facebook group for networking, you’ll only be sorry when the course comes to an end. Oh, but if you should complete module 1 and decide the course isn’t for you, you have 30 days to get your money back. That’s how sure I am you’ll love it. What will you get out of this premium Spanish-to-English translation course? The most popular part of the course. I personally correct your translations and coach you on how to improve. Together, we get to know you better as a translator, and make sure you really learn. With your training certificate and more specialist knowledge, it’ll be easier to get translation work. You’ll find support to get started in the secret Facebook group. Our secret Facebook group gives you the chance network with other Spanish-to-English translators and ask questions, in private. Open only to translators who train with me. With 2 one-to-one Skype sessions included, you’ll get the chance to ask me anything you want. I also provide ongoing support though the Facebook group. You’ll get the insight you need to be a successful Spanish-to-English translator. That includes developing your editing, proofreading and specialisations. When it’s all over, you’ll be more confident about your translation skills. You’ll feel much better prepared to work as a Spanish-to-English translator. And you’ll have a network behind you. “I found the Spanish-to-English translation course more than met my expectations. The feedback and comments from Gwen on each translation were meticulous and perceptive. In some ways the course independently confirmed what I already suspected about my strengths, weaknesses, and the areas of translation I feel comfortable with, and this is useful in itself. But there were also things I had not been aware of, such as a tendency to edit the text, and spending too much time obsessing about individual terms. What does the premium Spanish-to-English translation course cover? 14 modules, with 11 marked assessments (DipTrans past papers) and three self-assessed modules. 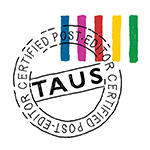 Each module focuses on a different element of translation: translation theory, editing and proofreading, English writing skills, glossary building, translation techniques, specialist translation and exam strategies. The self-assessed modules include complex exercises. Each marked module contains an extra practice text and sample translation, to help you learn faster. I will give you thorough, personalised feedback on the work you submit. But, you also get two 30-minute tutorials with me. I plan them carefully, to make sure we cover a lot of ground. It’s also a great opportunity to ask me anything you want about translation, the exam and freelancing. The manuals for these modules contain information about translating in the different course specialisations. There is also content on translation theory, and how to put it into practice. You’ll perform translations in the areas of journalism, literature, technology, business, science, social science and law. The assessed texts and the ones provided for extra practice are based on DipTrans past papers. They come from the real world, which makes them excellent learning tools, whether or not you’re sitting the exam. There are three self-assessed modules on the course. One is based on a manual and the other two are videos. They deal with different aspects of English writing skills and typical mistakes in Spanish-to-English translation. All of them involve challenging exercises for you to complete. ✓ 14 modules: 11 tutor-assessed, 3 self-assessed. ✓ 11 translations with comprehensive feedback from me (DipTrans past papers). ✓ 11 translations for extra practice. ✓ Three self-assessed modules with exercises. ✓ Two thorough 30-minute Skype tutorials. ✓ Invite to our Secret Facebook Group. ✓ No deadlines while the course is running. ✓ 30-day money back guarantee, if you change your mind after Module 1. How do I know if I have the level to do this Spanish-to-English translation course? You can do a level test and get feedback from me, for free! Just contact me through this website and ask. I won’t advise you to take the course unless I think you have sufficient level to benefit from it. It would be really helpful if you could also tell me why you want to do the course (and include your CV). I’ll get back to you with some feedback and thoughts. The complete 14-module course is the best value. But, if you just want to dip your toe in the water, or get extra practice before the exam, you can do 3 past papers and a 30-minute Skype session. You get the same comprehensive feedback from me no matter which option you choose. Money-back guarantee available on the 14-module Spanish-to-English translation course. If you complete Module 1, get your feedback and then decide you don’t want to continue, you have 30 days from when you signed up to get your money back. Just ask me. Part-payment option for the full course: two part-payments of EUR 449 and EUR 420 (total for the part-payment option EUR 869). The second payment will fall due after you complete module 4.